On 1 November 2012, Kilimanjaro Capital Ltd. signed an Oil and Mineral Rights Assignment Agreement with the Government of Southern Cameroons, granting the company exclusive rights to resources on 43,000 km2 of land, as well as future offshore rights. Kilimanjaro Capital Ltd., a private Canadian company focusing on emerging nations in Africa, is pleased to announce that on 1 November 2012 it signed a formal Oil & Mineral Rights Assignment Agreement with the Government of the Southern Cameroons. The region contains known petroleum reserves and significant untapped opportunities for gold, diamond, uranium, iron, bauxite, and manganese exploration. The Assignment Agreement grants exclusive rights and covers an area of approximately 43,000 square kilometers including the Northern and Southern Provinces, the Bakassi Peninsula, and future offshore rights. The Government of the Southern Cameroons is a full member of the OEAS in Washington DC, the UNPO in The Hague and claims effective control of the oil rich Bakassi Peninsula. Southern Cameroons is the former United Nations Trust Territory of the British Southern Cameroons (1919-1961). In 1961, Southern Cameroons attained independence and immediately united with La Republique du Cameroun. In 1972, Southern Cameroons was forcibly annexed. A 2009 offer to mediate by the African Union was rejected by la Republique du Cameroun. 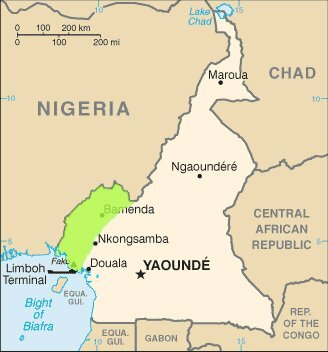 According to the Government of Southern Cameroons, oil exploration in the disputed Bakassi region could commence in a matter of months along with mineral exploration in other parts of the country. Kilimanjaro Capital Ltd. has indicated it will immediately be seeking financial, oil and mineral industry partners and has a strong plan in the works to acquire similar assets throughout Africa. Zulfikar Rashid, CEO of Kilimanjaro Capital Ltd. said: "We are delighted to be the first company to sign an agreement with the Government of Southern Cameroons. Kilimanjaro Capital Ltd. recognizes and supports the aspirations of the Southern Cameroonian people in their quest for self-determination and we look forward to constructive engagement between the relevant parties to achieve an acceptable solution under the guidance of the United Nations and African Union."